Oh he is so sweet! And gorgeous, yes definitely - I'm crazy about those curls!! What a sweet time together. Good for you for knowing to cherish those moments, it is not always easy to keep that perspective. You are doing a wonderful job of it and you really are an encouragement to me personally! I love that picture! I agree moments like those are so rare and really to be cherished. He is gorgeous - those big brown eyes with those blond curls!!! I love kid dates - such precious moments! 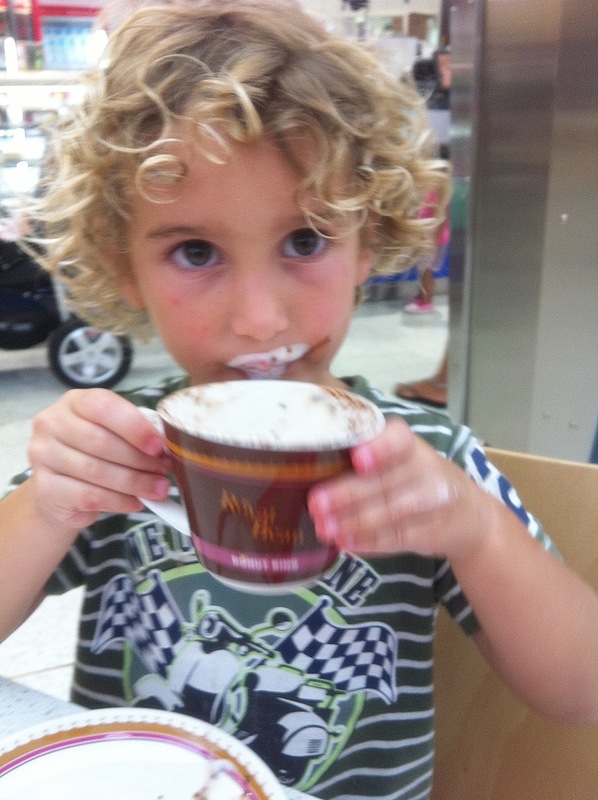 Look at those beautiful curls and big brown eyes. Is a chino the same as coffee? Oh my word, precious!!!! Thanks for linking up Kylie!